At Wagoneer World, we are so enthusiastic about Jeep Grand Wagoneers that it became our passion to preserve, share and pass along the experience to others through a Jeep Grand Wagoneer dealership dedicated to bringing high-quality, low-mileage, reconditioned Wagoneers to the marketplace. We begin with only the best Wagons and follow a stringent and proven in-house reconditioning process to ensure consistent and excellent vehicles for our clients to choose from, worry-free, while shopping our inventory. We are not a volume shop. 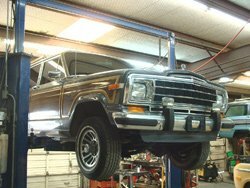 We carefully and lovingly preserve and recondition each Grand Wagoneer one at a time. While there are standard items we troubleshoot and replace on all our restorations (such as tires, brakes, plugs, etc. ), we review each one for its individual mechanical and cosmetic needs to ensure it is brought to a beautiful, showroom condition. This “hand-crafted” approach does take a little more time, however we believe the end product speaks for itself. Our Certification Process ensures a major, detailed mechanical and cosmetic inspection/reconditioning is completed on each Jeep regardless of mileage or date of last service. For example, whereas other retailers or service facilities will "service your Jeep's differentials" by draining out the fluid and refilling, we go the full distance. Our experienced technicians pull the front and rear differential covers, flush the differentials, inspect and recondition/replace as needed all components including ring gears, spider gears, bearings, etc. Only then do we re-seal and re-fill the differentials so they are properly and professionally serviced. We take this careful and detailed approach throughout our Jeeps so our buyers who are sticklers for maintenance know they are starting at ground zero for regularly scheduled services. Standard Maintenance -- Standard items such as tires, shocks, belts, hoses, plugs, wires and battery are replaced on each Jeep with original/quality new replacement parts. 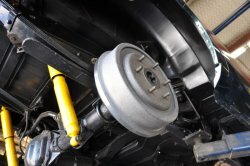 Mechanical (fuel, brake, exhaust, cooling and drive train systems)- All wheels are removed and both front and back brake components inspected and replaced with new brake parts as needed. All fluids and filters are changed/replaced. The exhaust system is checked from stem to stern, including manifolds and catalytic converters. The cooling system is pressure-tested, fully flushed & serviced. 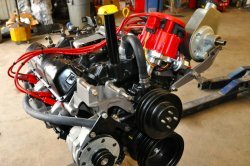 Flush differentials, repack wheel bearings, inspect seals and gaskets for leaks, full servicing and inspection of engine, fuel system, transmission, transfer case, exhaust, suspension, and steering with parts and seals replaced as needed. 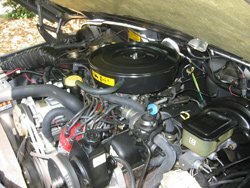 Electrical -- full functional review of locks, windows, lights, seats, wipers, starter, fuse box, horn, alternator, AC and heating systems, plus more! Undercarriage -- Full power washing and de-greasing of undercarriage, including inspection of frame rails, skid plate, suspension and seals and gaskets. Exterior -- Full review of body to ensure no rust or damage, review condition of paint, woodgrain, mouldings, chrome, wheels, and bumpers. Full professional hand wash and wax/exterior detail. Interior -- Full review of seats, headliner, carpet, steering wheel, kick panels, and seat belts with full interior detail. Wagoneer World Jeeps are as close to new -- inside and out from under the hood to the undercarriage -- as you will find anywhere in the market. For selection, service, quality, and value, let us earn your business and deliver your DREAM Wagon!